If a tired passerby would be walking on the street, he would turn his head to admire it. Delighting the eye from the distance, here is the place of honor of the city of Falticeni, having its foundation in history. You can read its rank as a monument in its distinguished architecture, wearing its solemn walls on a street of eternal fame. In its court rests the bust of the Romanian national poet who watches from eternity the oasis of culture that is known today as The Art Museum “Ion Irimescu”. The building revives through its appearance the 19th century, being a portrait of the neo Romanian spirit. The very brick lying at its basis carries manorial insignia, in 1846 becoming the residence of the Governor Alecu Forascu Botez. Its walls are history files, knowing only important statuses throughout the ages. 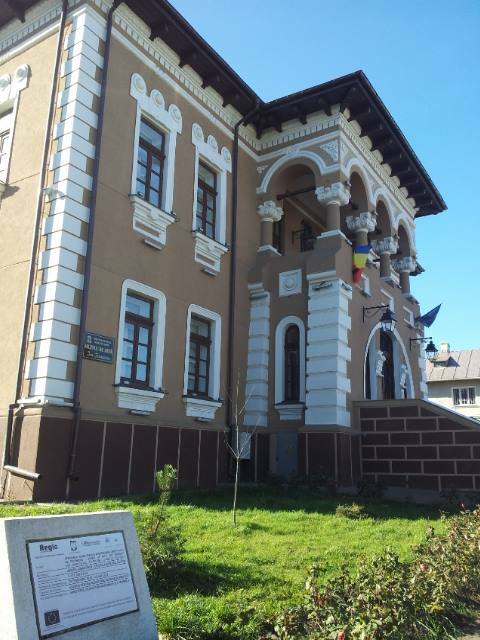 It was, as follows, the County Administrative Palace of Suceava, Baia Prefecture headquarters, the headquarters of the District People’s Council of Falticeni, the Pioneers House and House of Culture. It’s been decades since under its mantle of prestige a valuable treasure is sheltered. To pay homage for the work of a lifetime of an enlightened mind, “Alecu Forascu Botez” house became an art museum, being passed in the possession of the artist Ion Irimescu. Thus we penetrate the universe of a man who has reflected his thoughts on a creative existence. 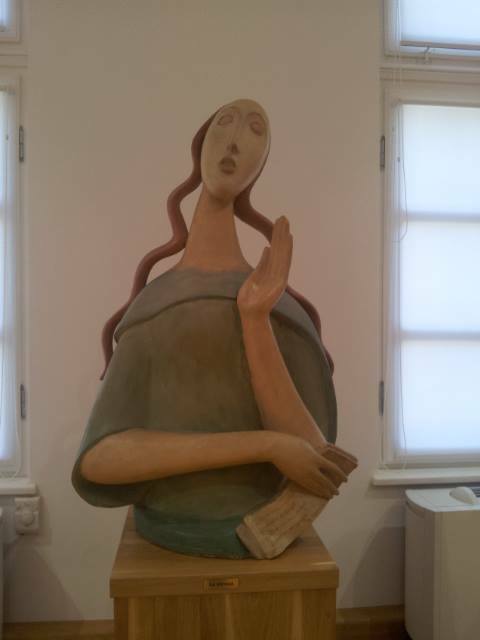 From his hands, which have kneaded the dough of ideas, was born a piece of treasure in the Romanian art. The work of one artist alone is guarded by heavy walls, bringing on top the city of Falticeni with its cultural richness, which is the largest collection of author found in the country. An eternal calm dominates the large rooms, inviting the eye to taste the melodic beauty of silence. Marble creatures tell imperceptible stories. They are glimpses into soul of the artist who created them with his hards, shaping silent beings which shake the eye with waves of silence. Forms of clay, plaster, marble, wood, terracotta and bronze, over which he placed the breath of creation, wear in their relief the touch of divine grace, placed in the hands of a man who has spilled his thoughts in sculpture. Three hundreds of sculptures rest within the rooms of this art fortress. Two floors carry the fruits of a lifetime of creation deriving from the heart of that who was a parent of culture. Soul fragments hanging from every object live on in the memory of those who keep alive the fruit of such a talent. Ion Irimescu dwells in eternity. The one who has enriched the Romanian art thesaurus with his own treasure left in Falticeni.